Shows the year in which the article was hallmarked. These are traditional standard marks that can still be used today. 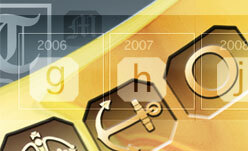 Special hallmarks which celebrate major events.